This Warlock One delivers the outrageous looks and wicked sounds of B.C. Rich guitars at entry-level prices! 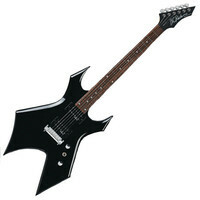 This entry was posted in BC Rich and tagged Guitar-and-Bass. Bookmark the permalink.